As we age, it’s more important than ever to manage our health properly. We know when we should schedule our first colonoscopy and how often we need a mammogram. We know that yearly check-ups with our primary care physician are critical for monitoring our cholesterol and blood pressure levels as well as managing any health issues. But what about our oral health? Not only can bacteria in the mouth cause an infection that leads to periodontitis but it can also cause problems in the rest of the body, including diabetes, heart disease and gastrointestinal illnesses, if left untreated. Additional issues arise when teeth that have broken down restrict individuals from eating a healthy diet because they’re unable to chew. No matter how long it’s been, it’s never too late to get on track with our oral health. Some patients don’t consider restorative dentistry because they’re embarrassed. What they don’t realize is that people are outliving their second set of teeth because they’re living longer than expected. According to a 2017 report by the National Center for Health Statistics, the average life expectancy in the United States is 79 years, but many individuals are living well into their 90s. Along with the natural aging process comes the wearing down of teeth. 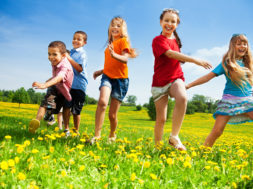 We should always practice proper oral hygiene, such as brushing our teeth at least twice a day, flossing daily and scheduling regular cleanings, but the techniques that our dentists used for cavities when we were younger could now be wearing out. A common oral health trend is that dentists are providing patients with their 3rd set of teeth through basic treatments using crowns or dentures as well as implants, which Dr. Phan frequently uses to replace missing teeth. He recently completed a memorable restorative dental treatment for a patient in his 70s. After 15 years of not being able to eat solid food, he is now eating apples. Those outcomes mean the most to Dr. Phan. “When I’m able to help a patient get back to enjoying solid food, which others take for granted, I couldn’t be more proud,” he says. Phan-tastic Smiles offers a number of procedures that will restore a patient’s smile to its original state, and Dr. Phan works directly with patients to determine which one is best for their situation. After learning about all of their options, the patient makes the final decision. From one-visit crowns and veneers (CEREC) to tooth-colored fillings and dentures, there are many basic options that will provide the desired results. 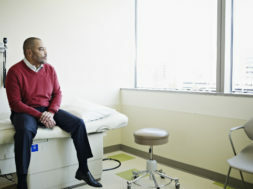 Even more, these procedures can be done in a timely manner so patients can get back to their usual routine in no time. Dr. Phan performs several in-depth procedures to restore the teeth and gums. Similar to dentures, mini implants are used to replace missing or broken teeth. Mini implants are identical to traditional dental implants but are narrower in diameter (about 2 millimeters wide). They are used mainly for stabilizing dentures, particularly the lower denture. This is an ideal treatment option for patients who don’t have enough jawbone to support a full-sized implant or are seeking a more affordable implant option. The Chao Pinhole® Surgical Technique is offered for patients with gum recession. Using this technique, Dr. Phan makes a small pinhole, loosens the gum tissue, places collagen and guides the gum tissue down over the exposed root structure. Since there are no grafts, incisions or sutures, patients can expect minimal discomfort following the procedure. They can also expect a quicker recovery time than with traditional grafting as well as more natural looking, long-lasting results. With 2018 quickly coming to a close, it’s not too early to make a New Year’s resolution. 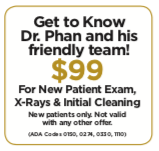 A visit to Dr. Phan at Phan-tastic Smiles can get patients on track with their oral health even before it’s time to ring in 2019. He is humbled to be the recipient of the prestigious Mastership Award, the highest Academy of General Dentistry (AGD) honor available and one of the most respected designations within the dental profession. Less than 1% of general dentists throughout the U.S. and Canada have earned this title (MAGD). 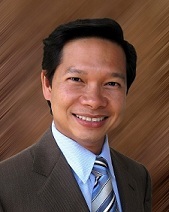 Dr. Phan also serves as a Dental Board Examiner for the state of Florida.